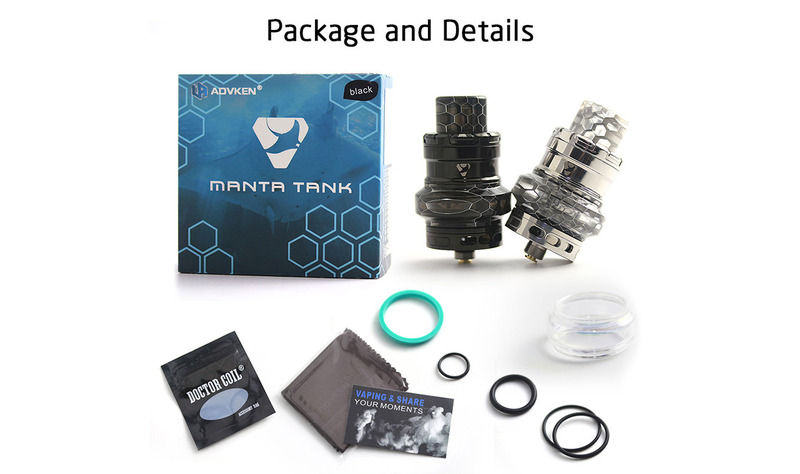 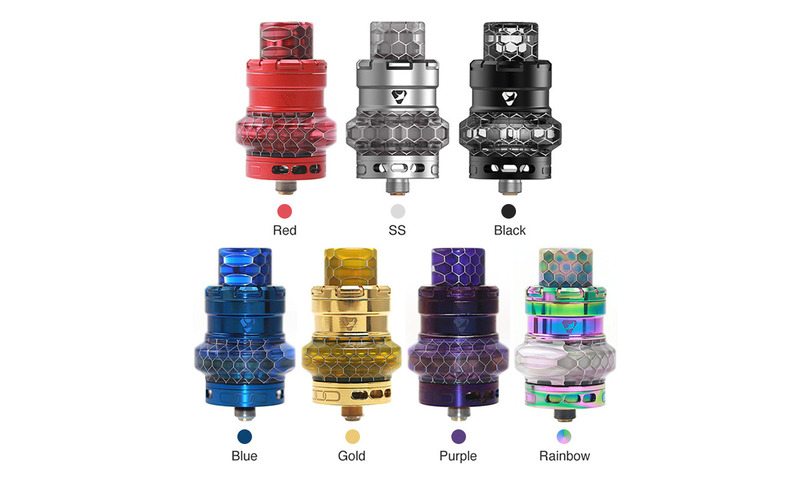 The Advken MANTA Tank is a 24mm subohm tank with beautiful honeycomb design. 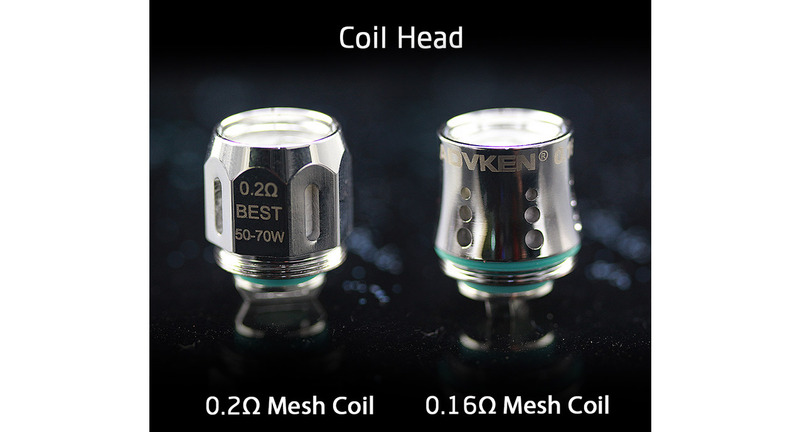 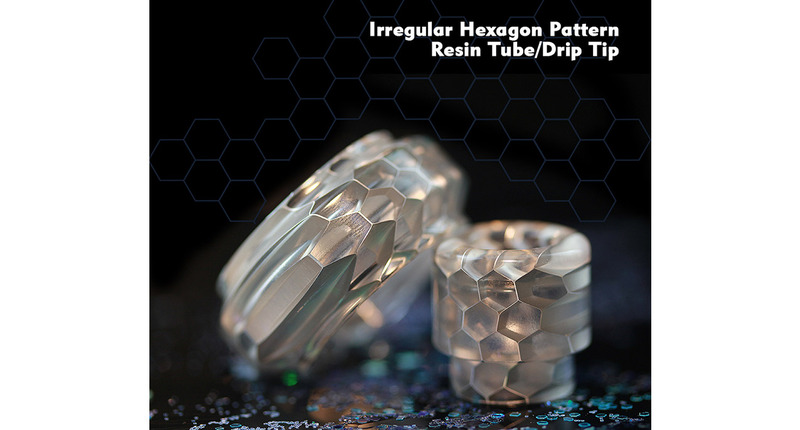 It has large 5ml e-liquid capacity to avoid frequent refilling and adopts sliding top cap for easy filling. 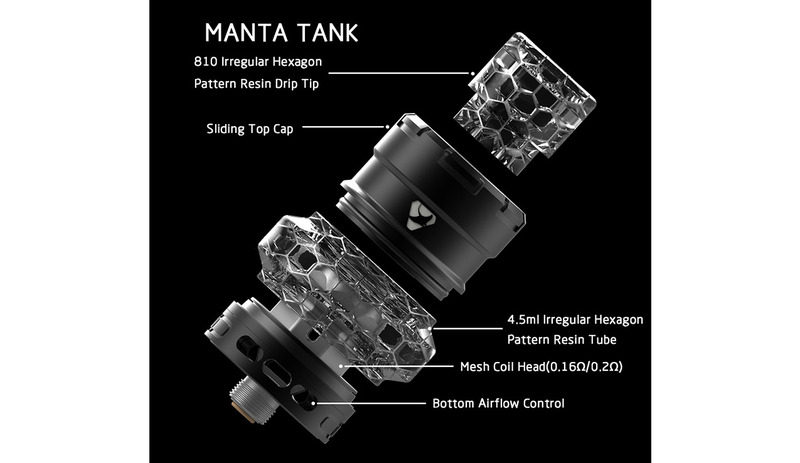 Moreover, the MANTA Tank is compatible with two types of coil, the 0.16ohm and the 0.2ohm mesh coil, which could bring great flavor and huge clouds.